Floating like pearls in the blue ocean, the islands of the Pacific seem exotic and mysterious locations. Some, such as Papua New Guinea and the Solomon Islands, are covered in luxuriant forests and home to rich ecosystems. But visit the countries and you will see large expanses of trees being felled, with logging roads reaching deep into the forests. The latest report from Global Witness, Paradise Lost, found that logging roads in the Solomon Islands stretch more than 23,000 kilometres – a distance twice as long as the Yangtze River. This is remarkable in a country that’s only 1/338ththe size of China and only slightly bigger than Beijing. 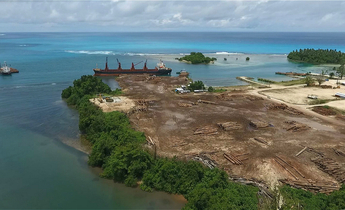 The bulk of the timber exports from Papua New Guinea and the Solomon Islands are bound for China – the world’s biggest importer of timber. Half of its tropical log imports come from those two countries, which much of that timber destined for the domestic market. However, China also produces large quantities of timber products for export to consumers in the United States, the European Union, Australia and Japan, so a tree felled on an island in the Pacific might be shipped to China, processed into flooring and then used in a home in the UK or the US. Every stage in that journey has some influence over the entire process, but China’s role is particularly important. The people in timber-exporting nations want to use their local resources to acquire the foreign currency, products and even technology and management expertise needed for development. But our investigations have found again and again that logging doesn’t mean development for local people and communities, and that those who hold rights to the forestry may see very little benefit. In some places the government leases land to logging companies without obtaining consent from locals. Those companies minimise their own income to avoid giving local communities their fair share of profits; some firms even use violence and corruption to facilitate illegal logging and smuggling, or cut an excessive number of trees. The accounts of many logging firms show losses, which are used to reduce taxes paid on felling and exports. This also slashes the tax income received by the government. Gary Juffa, governor of Oro province in Papua New Guinea and a member of the national parliament, said in a recent China Dailyop-ed that tax evasion in the sector was costing the government US$92 million a year. And bizarrely, firms which have apparently been making losses for years continue to operate and even expand. The system should be working for everyone. But locals, government, processing and export firms aren’t getting the benefits they expect. The benefits of illegal felling and log trading go to a select few, which is both unfair and unsustainable. Global Witness estimate that logging activity in the Solomon Islands is 19 times greater than is sustainable. 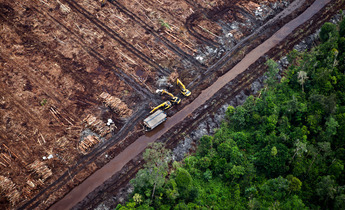 At the current rate, there will be no forests worth logging in 20 years. 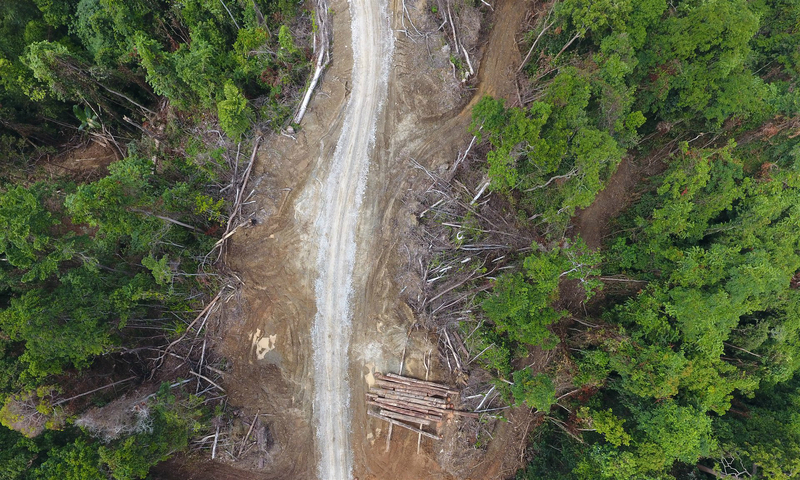 Illegal logging in Papua New Guinea and the Solomon Islands shows how inadequate laws, policies and implementation give rise to problematic economic activity. Our report A Major Liability exposed widespread illegalities in the allocation and operation of logging projects, exacerbating inadequate regulation and even corruption. Chinese firms have already contacted us about eliminating illegal timber from their supply chains. But firms dealing in illegal timber are unlikely to act so responsibly, and this will give them a competitive advantage over more conscientious companies. If China does not regulate, international markets will be suspicious of timber products sourced from there and Chinese firms will become less competitive. 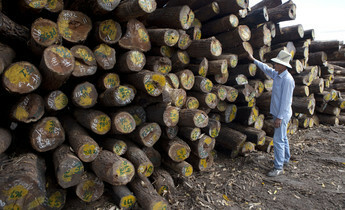 But China is crucial to global log imports and the manufacture, consumption and export of timber products. Legislation and regulation of timber products around the world is steadily getting tougher and the market for illegal products is shrinking. If China does not respond to these global trends it will see a decline in both profits and reputation. We hope to see the government come up with policies requiring importers to ensure logs they purchase have not been illegally felled, so extending the responsible supply chain policy outwards to overseas suppliers of raw materials. As Gary Juffa said in his op-ed: “As the biggest buyer of PNG timber, China has the power and influence to encourage a different way of using the forest resource of PNG”. chinadialogue is at the heart of the battle for truth on climate change and its challenges at this critical time. Our readers are valued by us and now, for the first time, we are asking for your support to help maintain the rigorous, honest reporting and analysis on climate change that you value in a 'post-truth' era. Liu Lican is coordinator of the environmental health and climate-change programme at the International Center for Communication Development (ICCD). Is your hardwood floor made from illegally sourced wood? Herders benefit from a vast effort to restore wetlands. But how many yaks is too many for the Zoigê grassland ecosystem?